The Vero product team is pleased to announce the availability of Radan 2018 R1, a software geared to help sheet-metal manufacturers implement Industry 4.0 smart factories. The release includes a number of items of new and enhanced functionality, focusing on the engineering of parts processes. 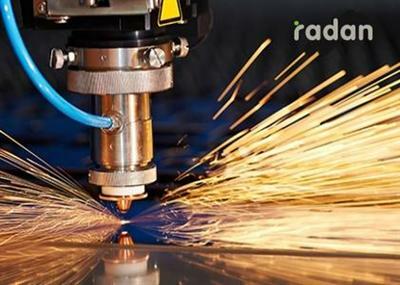 Developers are now working on separating Radan into two distinct aspects: traditionally creating NC code to drive CNC machines and engineering of parts. Radquote looks at all aspects that impact how much it costs to bend a part, such as how many bends are required, how many turns or flips the operation needs, and whether it needs a second operator to provide an accurate cost calculation. It calculates the cost of an entire 3D assembly, allowing the user to see a full assembly and the total cost. Radan 2018 R1 features specific innovation of optimizing fingerstops. To make fingerstops safer, it provides improved part alignment in the press brake and reduces the number of fingerstop movements required between bends. In addition, an enhancement to the default views allows designers to bring up a front view, side view, or isometric view instantly in Radbend and Radan 3D. There are si updates within the profiling function. For hatching, laser users can create fine marks to identify parts. These marks can be of any shape, such as a bar code design, text, or number, and is hatched on to the metal with the laser. Enhanced flycutting, where the machine doesn't stop during an entire operation, reduces cycle times; the lead-in placement for tagging has been optimized. Additional support for automatic filleting provides users with greater placement control, as they can be switched on for one part and off for another, and whether they are on internal or external corners. Vero Radan 2018 R1 | 1.9 Gb download links are provided by Extabit Rapidshare Uploaded Rapidgator Netload Bitshare Freakshare Letitbit Dizzcloud and more.